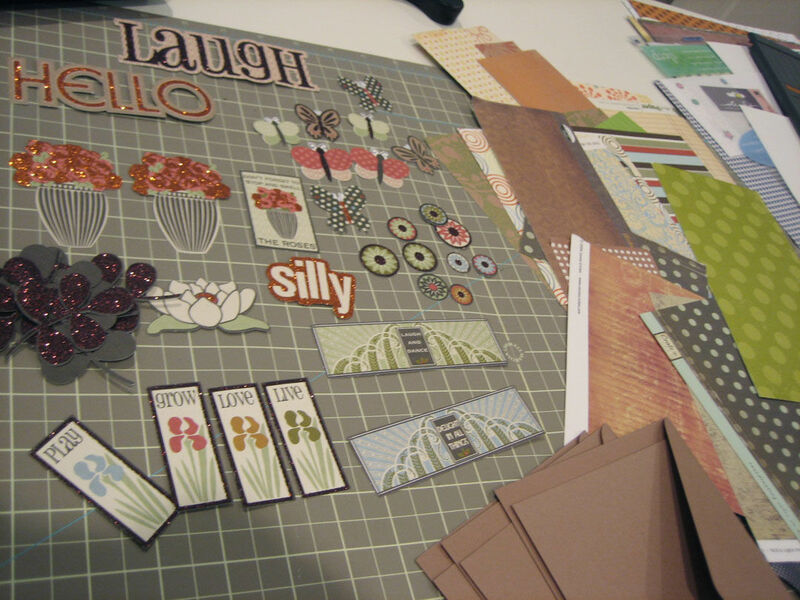 In honor of World Cardmaking Day being yesterday, thought I’d appropriately post this about making cards! I often like to challenge myself to use up my ever growing pile of scraps and instead use them to make some cards. The scraps are easy, the embellishment and phrase decisions are harder. Sometimes I turn to themed die cut packs. Sure, die cut packs are cute and often they have accents like glitter or thermography, but even more often there are way too many pieces in a pack that I would consider for one scrapping theme (though this is a good thing!). Instead I use these “extra” die cut pieces and turn to my use your stash challenge! 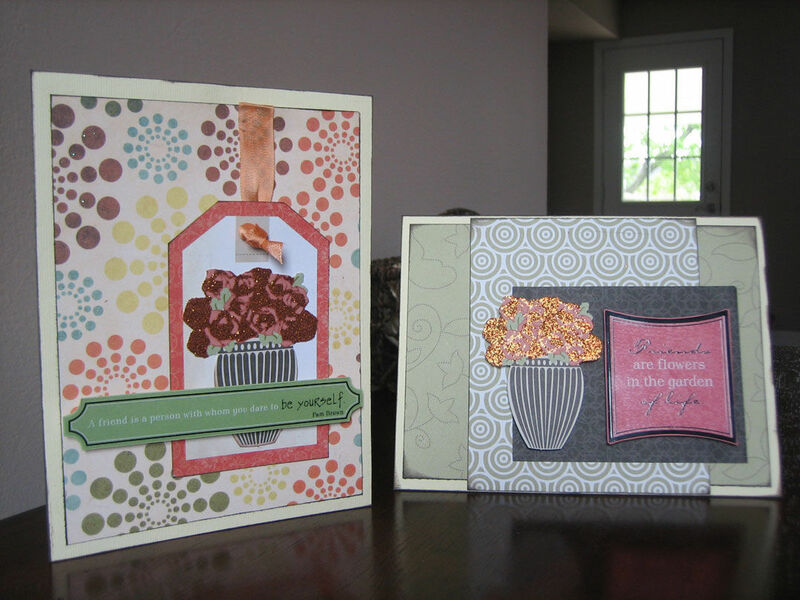 This Eco Modern Die Cut pack from K&Company is one example of these die cut packs. They’re cute, they have a nice color palete and some are accented with glitter. But they conveniently offer doubles, so why not use them on cards? First I select a nice amount of doubles or card friendly designs and shuffle through my paper scraps for similiar color paletes. 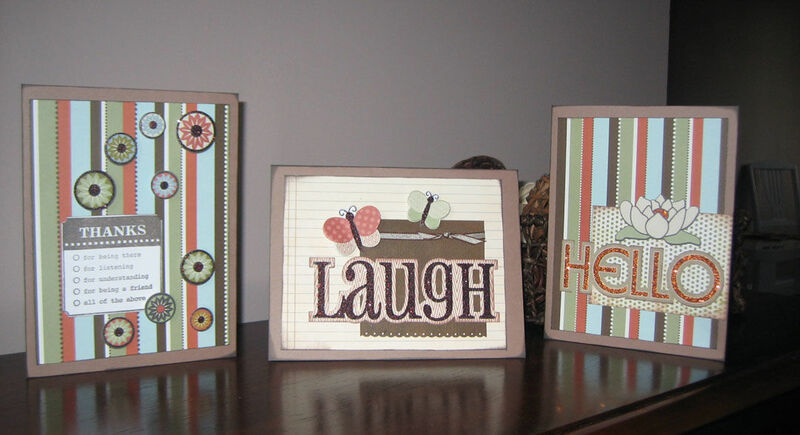 Then I mix them with stamped phrases, ribbon pieces and other small accents and voila! In just a short time, I’ve created a few extra cards for my growing card stash.